I hear this all the time as a health coach with Derbalife. It’s what we do. 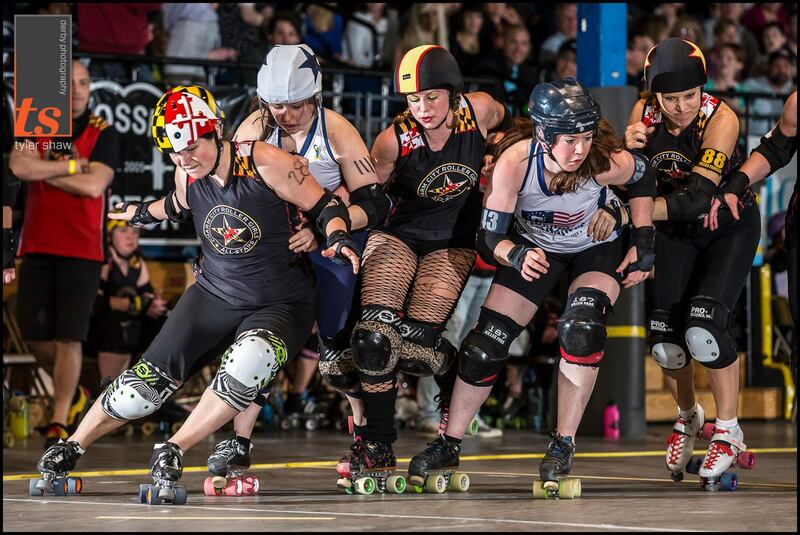 We help people ‘get better’ at roller derby. I spend a lot of time thinking and researching what that really means to each individual person who contacts me. A 200lb female is going to have different challenges than a 135lb male in the sport. 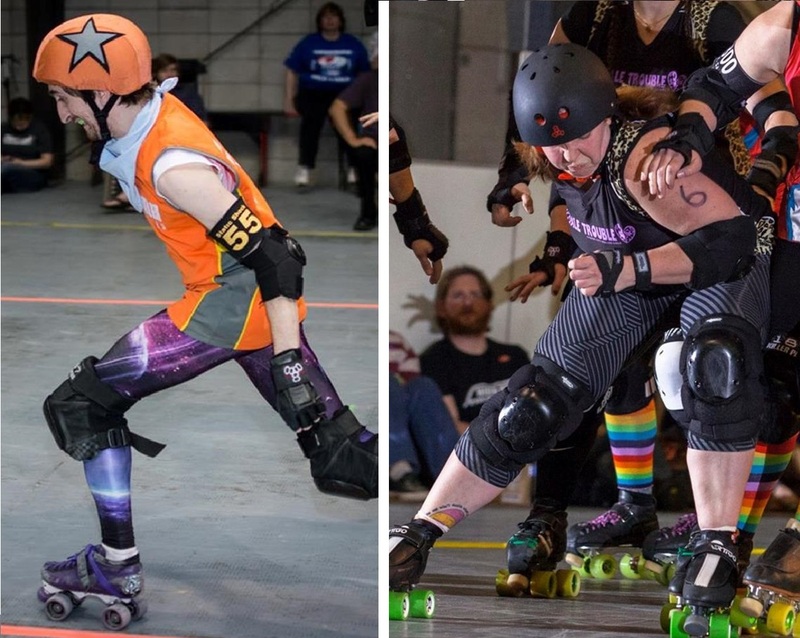 I’m going to do a series of blogs about how to “get better at roller derby” off the track, and I’m going to do my best to include science (or at least link science articles for you to read up on and try and translate the jargon). Training for any sport is not simple. If you decide to compete in a marathon, you may think, “Oh, I’ll just run!” but there are different philosophies, different styles of running, different techniques to prepare for the marathon. 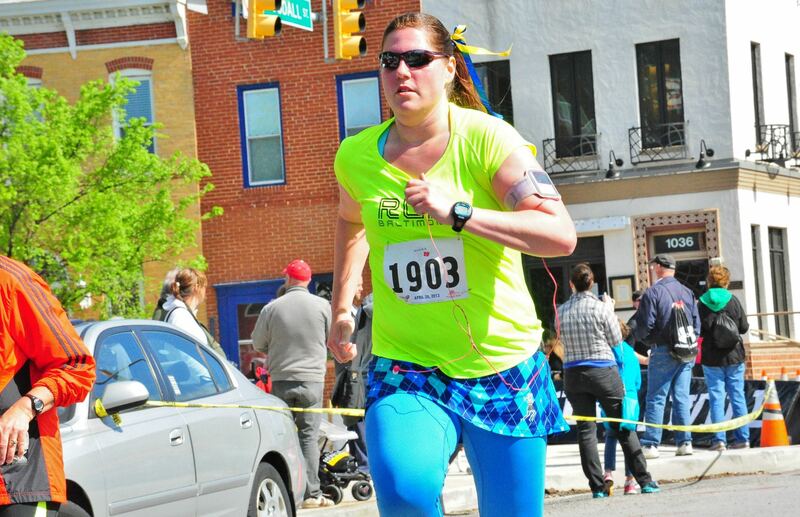 Charm City White Star RoadRunner knows that training for distance running takes more than just mileage. With contact sports, you must train your long endurance, short endurance, capacity for large muscle power, stability and strength in tiny ligaments and minor muscle groups, coordination, sensory reaction, mental power and cognitive understand, and the recovery time from constant impact. “Oh, is that all, Khaos?” No, it is not all. Within each individual piece are an infinite number or focuses you can take. So I like focusing on a few things at a time. If you have any other themes that you’d like to see me research and write about, please do comment and let me know! Also, if anyone would like to see these turned into Rollercon classes or seminars – let me know if I should submit. I’m always looking for cool things to teach that are inspired by blogs. I figured I’d list them out here so that I know what I’m writing about in the upcoming weeks! I need to plan out and put it out there, otherwise I lose focus sometimes. Remember, every person has different thoughts, opinions, and techniques for training and improving. I hope to offer up some information from within the community of roller derby. The information will be useful for many sport disciplines, but hopefully these blogs will help us all get a little more awesome in upcoming months.